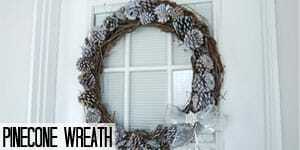 Welcome back to our Bake Craft Sew DECORATE series! 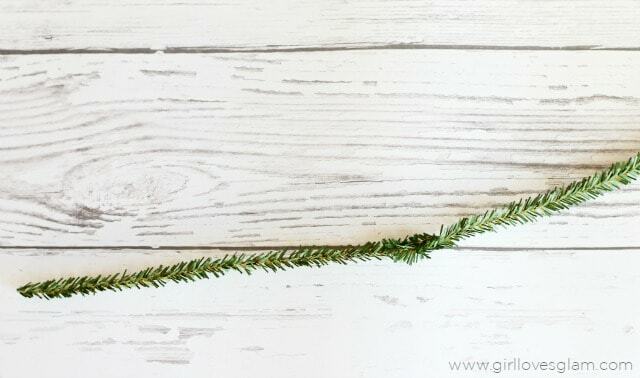 If you’re new or haven’t visited in a while, we will be having Christmas and Holiday decorating ideas here on Classy Clutter for the whole month of November! We will be teaming up with our blogging friends Cindy, Mique, and Leigh Anne! Cindy will be doingsewing ideas on SkiptomyLou, while Mique from Thirty Handmade Days, will be posting craft ideas, and Leigh Anne from Homebased Mom will be posting delicious edible gift recipes. We are excited about it so be sure to come back every day in November for another Holiday decorating idea! Hey! 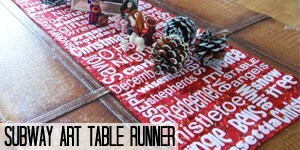 I am so excited to be participating in this fun series that the cutest Classy Clutter girls have joined in on this year! I am McKenzie and I blog at Girl Loves Glam, a lifestyle and beauty blog where I share my life as a cosmetologist turned blogger mom. I share beauty tutorials, kid craft ideas, and home decor. There is no time of year I love decorating my home for more than Christmas. Isn’t it just the most magical time of the year? 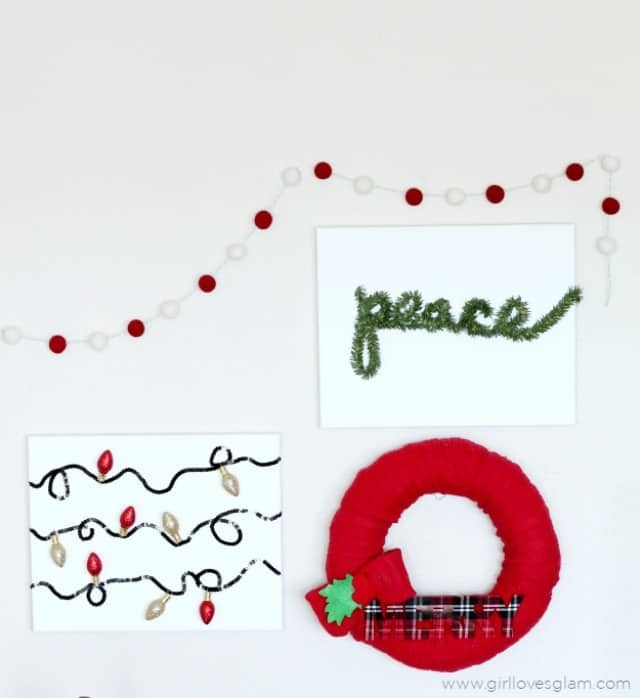 I am living in a new place this year, so it was fun to be able to create new ideas for my Christmas decor. One thing I really wanted to make were some custom canvases to go above a little table I have on the side of my couch. I looked in the stores for something similar to what I was looking for, but when I couldn’t find anything I liked, I knew I needed to create it myself. These two canvases were really quick to whip up! They would be the perfect activity for your next girls’ craft night! -Pine pipe cleaners. These can be found at Michael’s. 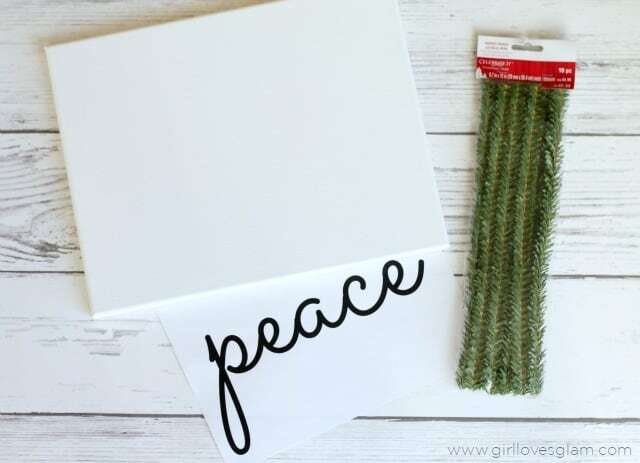 -Print out of the cursive word you want to create. First off, I am not going to take any credit for this idea. 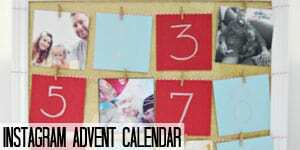 I fell in love with a project that the girls from My Sister’s Suitcase created last year. They made a box for their holiday books that had the word “joy” written on it made of these pipe cleaners and I knew I needed to make something like it! 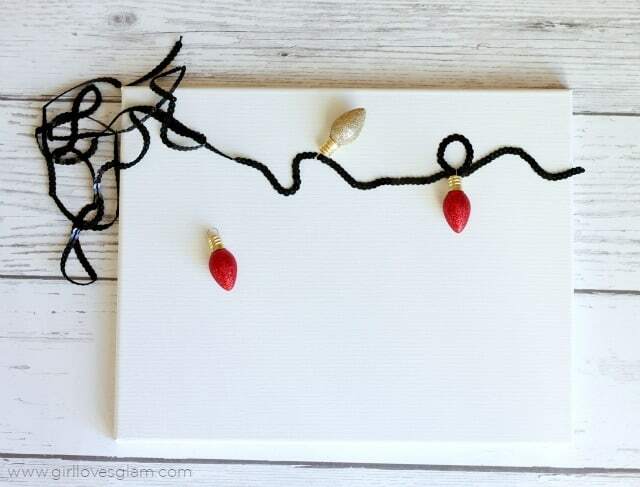 Take the pipe cleaners and link them together by bending the ends together to make one long piece. Lay the pipe cleaners on top of the word and bend it to take the same shape as the font. This may take some extra twisting at times to get it to stay, but the wire is strong enough that it keeps it shape pretty well. Lay the word on your canvas and glue it into place. You can force letters to lay a certain way once they are being glued if you are having a stubborn letter. That is all you have to do though! See? I told you it was easy! -Faux Christmas light decor. The garland I used came from Hobby Lobby. 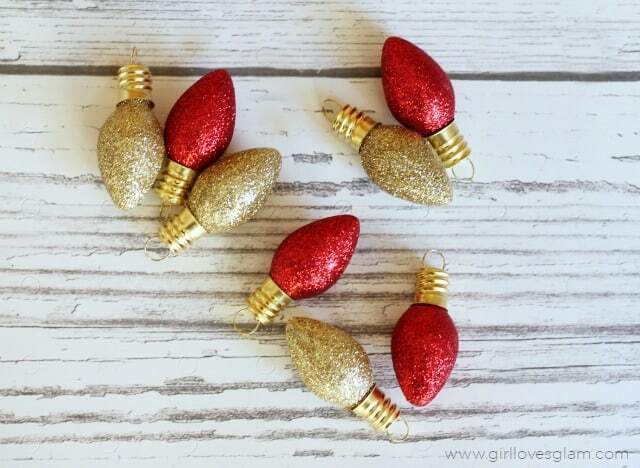 Get the colors of the ornaments you want to use. I just cut off the ones I wanted to use from the garland. Put a little glue on the canvas, making a squiggle. Lay the sequins on top of it. 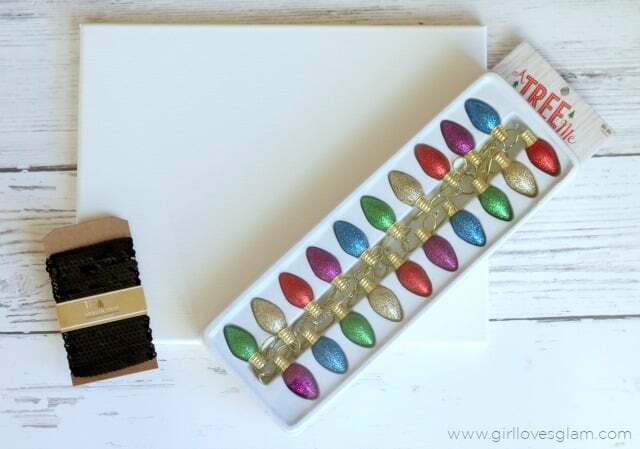 When you want to add a light, string it through the sequins and glue it into place. Be creative! Squiggle your lines around however you want. 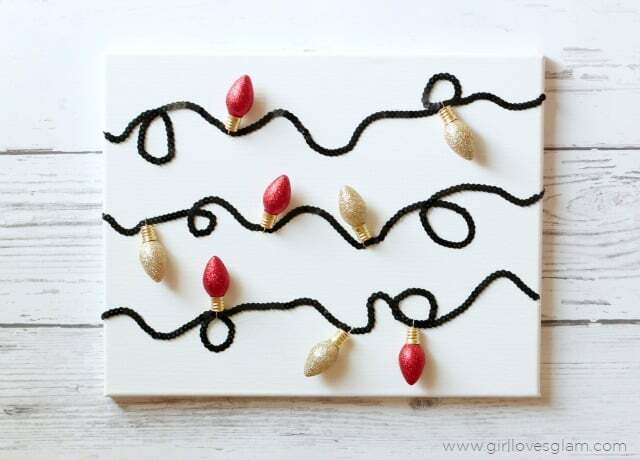 Do this until you run out of canvas to decorate. You are left with a fun, custom canvas that is a little glam with your sequins (and glitter in my case)! It has quickly become one of my favorite Christmas decor items. I just love the way they came together on the wall too! Thanks for having me Mallory and Savannah! Don’t forget to check out these other great tutorials over on my blog as well! Wow!!! We love it McKenzie!! 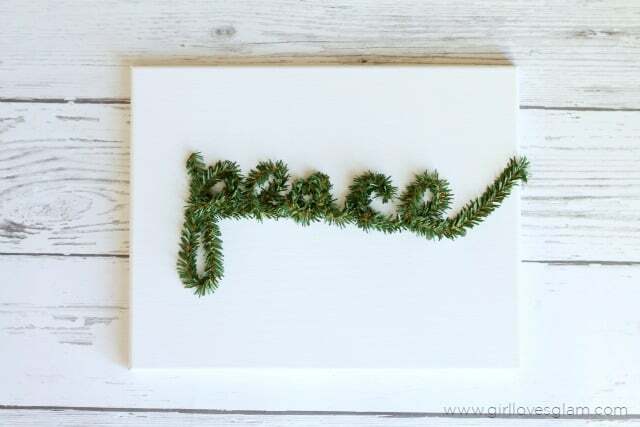 We love the use of the pine pipe cleaners! Thanks so much for sharing! Be sure to follow McKenzie on her blog, Girl Loves Glam and on Pinterest, Instagram and Facebook!